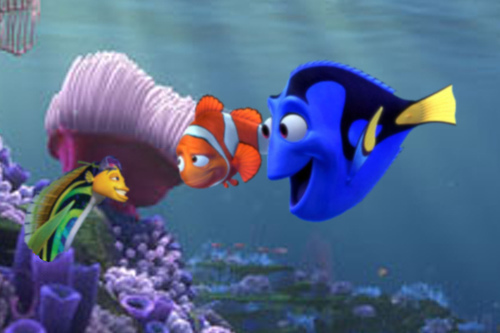 marlin, dory, and... oscar!. I found the funny picture on flickr, sa pamamagitan ng Johnthephotographer, He sinabi A little photoshop he did when he was bored. Wallpaper and background images in the Finding Nemo club tagged: marlin dory shark tale.